Made for children weighing 35-60 kg who require additional protection during night. Looks and feels like normal underwear and is barely noticeable underneath pyjamas. 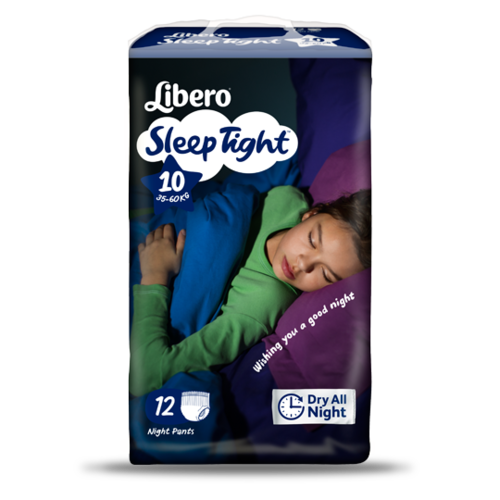 Libero SleepTight offers outstanding dryness. 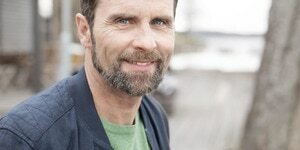 A multi-layer protection system quickly draws liquid away from the surface of the skin and into the core of the nappy, keeping the child’s skin dry. Libero SleepTight night pants look and feel like normal underwear and barely noticeable underneath pyjamas. Libero SleepTight has a discreet design inspired by normal underwear. Libero SleepTight night pants have soft materials and soft elastics all-round the waist for a perfect fit and optimum comfort. Libero SleepTight is made of breathable non-woven materials that let humidity out keeping the child comfortably dry throughout the night. 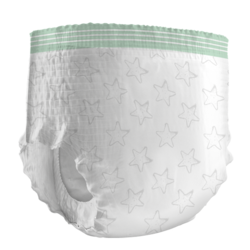 Libero SleepTight is as easy to remove and put-on as normal underwear. Alternatively tear open the side seams, and then roll the pant into a bundle for discreet disposal.